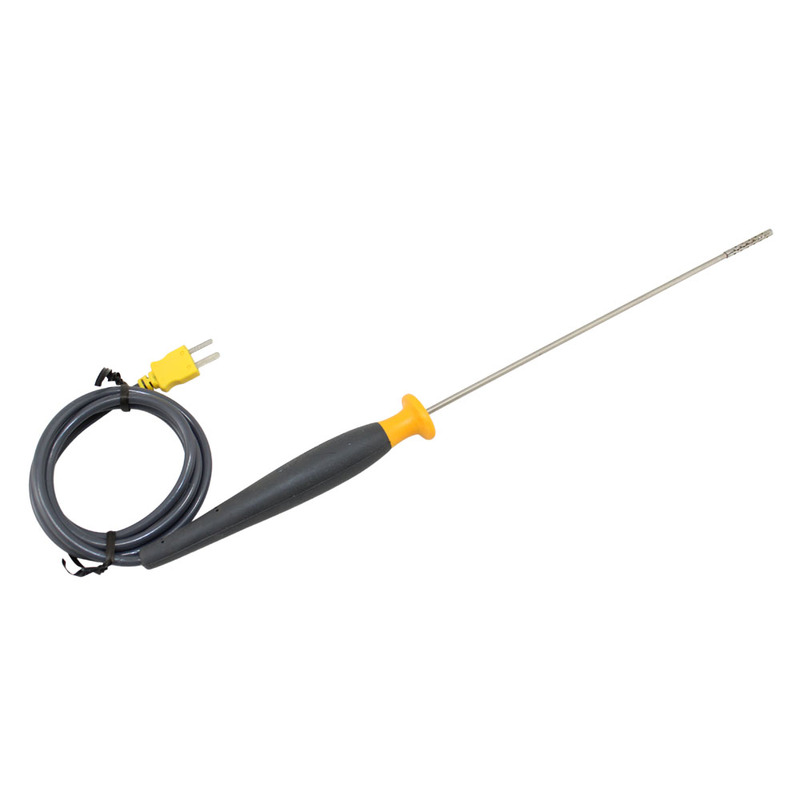 The 80PK-24 SureGripTM Air Temperature Probe is designed for measuring the temperature of air or gases. The measuring bead of the probe is protected by a perforated 304 Stainless Steel baffle to prevent accidental damage. The sheath material is 300 Stainless Steel. 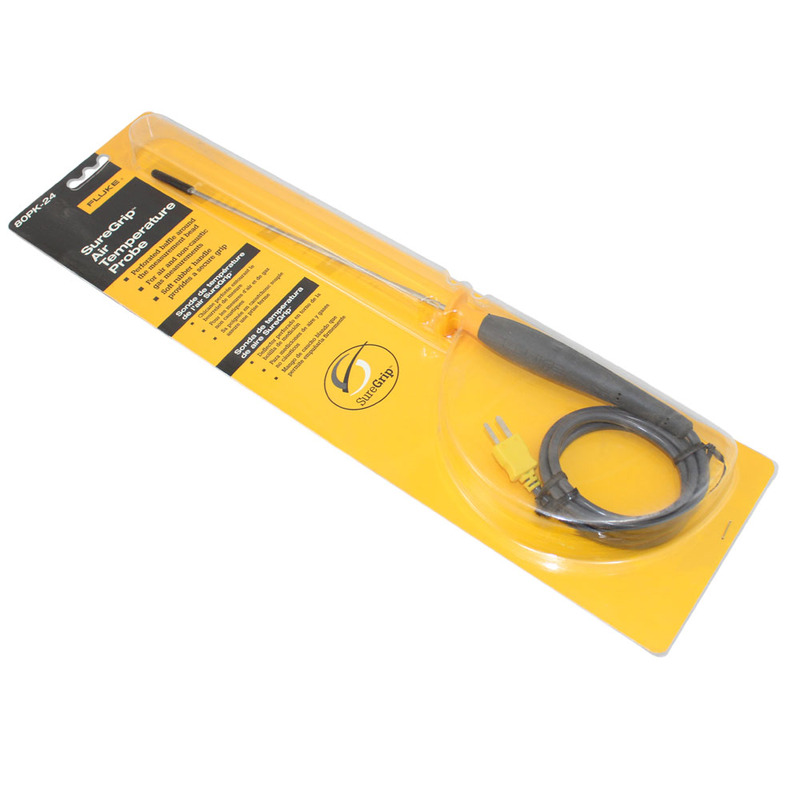 The 38-inch (1 meter) cable is terminated with a Type K miniature thermocouple connector with 0.792-mm (.312-in) pin spacing. 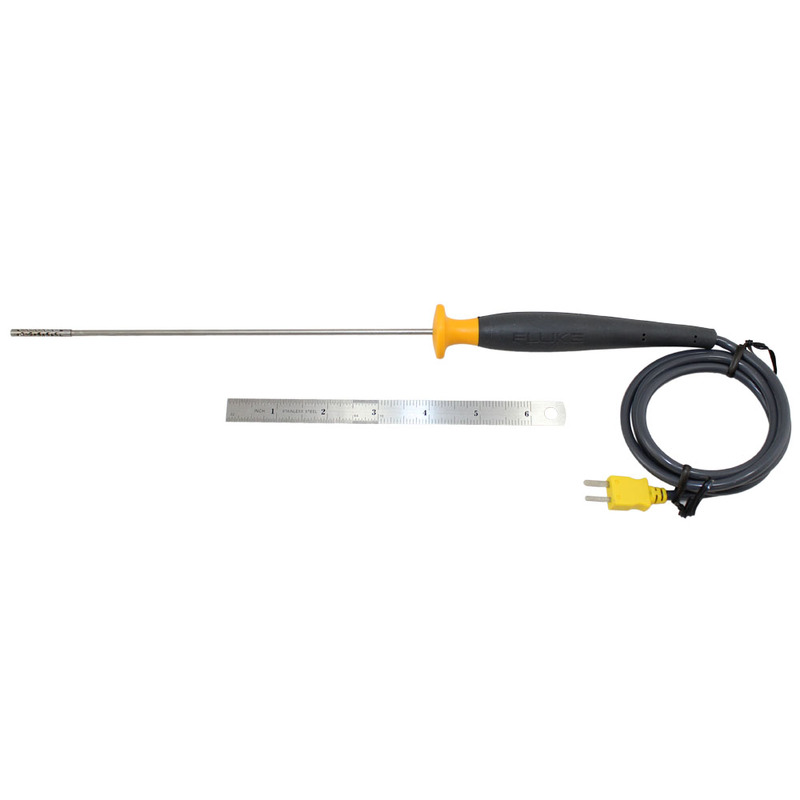 The 80PK-24 can be used with any temperature-measuring instrument that is designed to accept Type K thermocouples and has a miniature connector input.